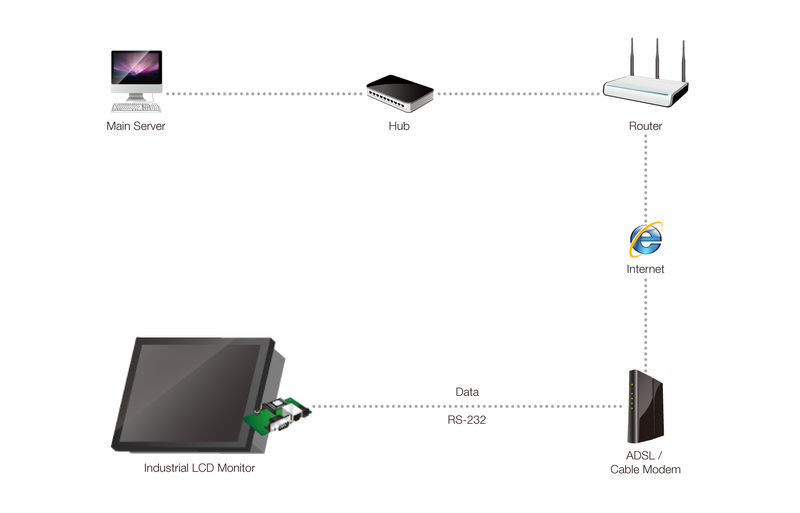 This shows you how Sollae Systems’ serial Ethernet networking modules can be used for industrial LCD monitors. Embedding a networking module enables you to quickly and easily add network capabilities to your industrial LCD monitors in order to facilitate remote control and monitoring. It consequently helps you access to LCD monitors in real-time from anywhere in the world and improves management efficiency in cost-effective way.